Exhausted isn’t the best way for anyone to start their day. Unfortunately there are sometimes children or adults who have problems getting or staying asleep. Medicine shouldn’t be your first turn to option. There are so many others. Depending on the age see if you can figure out why the child isn’t sleeping. Is it due to nutritional needs (nursing) or due to comfort? Is the child is their own bedroom? And if so what type of night light if any? Are there medical reasons possible such as sleep apnea, low iron, tummy issues? We’ll explore all of that below. Tiring out children with physical activities helps them fall asleep faster at night, research indicates, suggesting that parents who drag their children away from the televison and down to the park will be rewarded at bedtime. Children who exercise less during the day take longer to fall asleep at night, according to new research. Research published in the Archives of Disease in Childhood reports that every hour of the day children are inactive adds three minutes to the time it takes them to fall asleep. The study indicates that children who fall asleep faster also sleep for longer. Although, it appears one is not the direct consequence of the other. The authors comment these findings will validate what many parents already believe: that tiring out a child with plenty of physical activity will increase the likelihood that she or he will sleep well. There is some evidence tart cherry juice may help, and from anecdotal feedback it’s helped a bit in our Cherab support group. Of course for kids you’ll want to probably mix the tart cherry juice with something a bit sweeter. One study found that a morning and evening ritual of tart cherry juice may help you sleep better at night, suggests a new study presented today at the Experimental Biology 2014 meeting. Researchers from Louisiana State University found that drinking Montmorency tart cherry juice twice a day for two weeks helped increase sleep time by nearly 90 minutes among older adults with insomnia. Some may point to supplemental forms of tryptophan, but you may want to start with dietary changes to include or increase foods that may help. Tryptophan is a biochemical precursor of serotonin, which means it is converted into serotonin during the metabolic process. Foods such as turkey are rich in tryptophan. Dietary can help children with severe sleep issues for numerous reasons. Either they are not getting enough of the nutrients their body needs due to feeding problems, or a metabolic disorder. Some parents assure their child is getting enough nutrients with a whole food nutritional products. Dietary changes should be considered prior to medication. Especially since they can have better results. Dawn Falley’s daughter Lily who has autism and a seizure disorder is one example. Lily is one of the children. L-tryptophan is POSSIBLY UNSAFE when taken by mouth. It has been linked to over 1500 reports of eosinophilia-myalgia syndrome (EMS) and 37 deaths. EMS is a neurological condition with symptoms that include fatigue; intense muscle pain; nerve pain; skin changes; baldness; rash; and pain and swelling affecting the joints, connective tissue, lungs, heart, and liver. 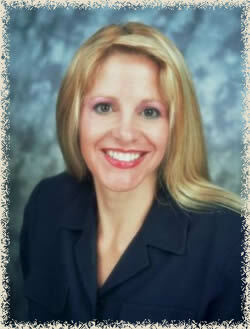 Symptoms tend to improve over time, but some people may still experience symptoms up to 2 years after they develop EMS. Some people report that their symptoms have never gone away completely. In 1990, L-tryptophan was recalled from the market due to these safety concerns. After the limitation of L-tryptophan products, the number of EMS cases dropped sharply. The exact cause of EMS in patients taking L-tryptophan is unknown, but some evidence suggests it may be due to contaminated L-tryptophan products. About 95% of all EMS cases were traced to L-tryptophan produced by a single manufacturer in Japan. Currently, under the Dietary Supplement Health and Education Act (DSHEA) of 1994, L-tryptophan is available and marketed as a dietary supplement. L-tryptophan can cause some side effects such as heartburn, stomach pain, belching and gas, nausea, vomiting, diarrhea, and loss of appetite. It can also cause headache, lightheadedness, drowsiness, dry mouth, visual blurring, muscle weakness, and sexual problems. Special Precautions & Warnings: Pregnancy and breast-feeding: L-tryptophan is LIKELY UNSAFE in pregnancy because it may harm the unborn child. Not enough is known about the safety of L-tryptophan during breast-feeding. Avoid using L-tryptophan during pregnancy and breast-feeding. A white blood cell disorder called eosinophilia: L-tryptophan might make this condition worse. L-tryptophan has been associated with the development of eosinophilia-myalgia syndrome (EMS). Liver or kidney disease: L-tryptophan might make these conditions worse since it has been associated with the development of eosinophilia-myalgia syndrome (EMS). Research has shown that list of foods with melatonin is quite abundant. This hormone plays several important roles in our bodies, such as a sleep regulator, antioxidant and Glutathione booster. However, not all foods with melatonin are able to raise blood melatonin levels high enough to help with sleep disorders. The good news – even small amounts of melatonin are still able to act as a powerful antioxidant and aid in raising Glutathione levels. This information is very important if you are looking for natural ways to improve quality of sleep and add a powerful antioxidant to your diet but are unwilling to experiment with synthetic forms of melatonin. See the chart and complete list here. Effect of oral melatonin and wearing earplugs and eye masks on nocturnal sleep in healthy subjects in a simulated intensive care unit environment: which might be a more promising strategy for ICU sleep deprivation? While getting melatonin from foods naturally is healthy and benign, supplementation has a number of warnings. Below are just a few. “Dr David Kennaway, a senior research fellow at The University of Adelaide, said studies on adults and animals had shown a link between melatonin and a negative impact on reproductive, immune, cardiovascular and metabolic systems. A review article published in Sleep Medicine suggests that iron deficiency anemia, or low serum ferritin, disrupts optimal brain development and leads to altered behaviors in infants that can lead to persistent sleep problems later in childhood. As many as 1/4 of infants worldwide experience iron deficiency anemia (IDA), or a deficiency in oxygen-carrying red blood cells that results from a diet lacking in iron. Scare Away Those Scary Monsters! Got a child who’s afraid of monsters at bedtime? Mix up a bottle of monster spray! It’s an easy and effective way to help young children conquer their night-time fears and insecurities. One of the most common reasons, reported the parents, was because their children either feared the dark or were afraid of monsters or bad dreams. There are various versions of this floating around the net, and this simple trick has worked for many parents in our nonprofit. I believe that Happyhooligans and PrudentBaby both do the best jobs I’ve seen of providing a step by step of how to make the bottle and spray, as well as explaining it’s use! Below is a combination of quotes from both sites. 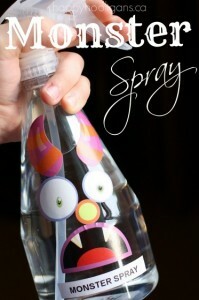 Involve your kids in the process of decorating the bottle and mixing up the spray. When they participate in making their monster-banishing remedy, they’ll be excited to try it out, and may even look forward to bedtime tonight! Allow your child to place stickers wherever he wants to. He’ll likely feel like he has more control over the monster situation if he’s permitted to design his “weapon” himself. Now, Monster Spray may work better for some kids if it appears you went out and bought it at the store, in that case make it yourself during naptime..” Agree with this comment from Happyhooligans *Note: although it was suggested by several people, I would strongly advise against using a store-bought, commercial air-freshener as “monster spray”. Commercial fresheners are filled with chemicals and harmful ingredients. These, in my opinion, are not healthy for your children to inhale at any time, much less for hours, all night long. When possible, keep your child’s exposure to manufactured scents and chemicals to a minimum. At bedtime tonight, let your child spray his or her bedroom before bedtime, paying special attention to any possible “points of entry” like closets, windowsills, doorways and under the bed. Place the bottle on your child’s bedside table, or somewhere near-by where he can reach if he’s scared in the night. Hopefully, with a bottle of monster spray close at hand, bedtime monsters will soon be a thing of the past for your family.” Again find much more info if needed at Happyhooligans and PrudentBaby. Why Not Try An Epsom Salt bath? Q: What is the anticipated effect from an Epsom Salt bath? Epsom Salts have long been used to stimulate detoxification, reduce inflammation to sore muscles, promote healthy circulation, and help with relaxation and normalizing sleep patterns. Most children respond to an ES bath by appearing happier, more relaxed. Some parents report that their children are more responsive, more “with it”. Some parents who give the bath in the evenings report that their children are able to get to sleep easier, and have a more normal sleep pattern. You may want to try adding a drop or two of lavender essential oil to the bath water too. 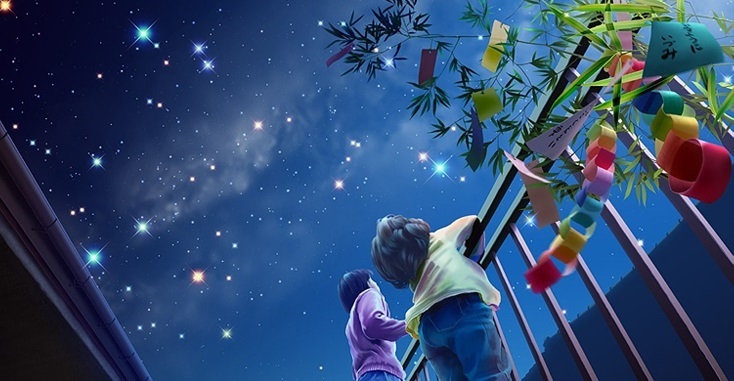 Most children learn to self-soothe at nighttime. To help with self-soothing behaviors, you can try a special blanket, or stuffed animal (bunny or bear etc) to cuddle with. Some children with SPD find it comforting to rub soft fabric between their fingers. A weighted blanket is a therapeutic blanket that is made with weights to provide proprioceptive input to the body. Proprioceptive input means awareness of one’s body position in space. The effect is similar to when you swaddle a baby. Here’s more info on them from the SensoryProcessingDisorder website “Weighted blankets are a simple solution to what often appears to be complex attention, calming, or sleeping difficulties” including how to make your own. An early intervention OT consult is recommended, especially is sensory processing disorder is suspected. Brushing is an sensory technique that an OT can teach you, as it helps them to regulate their sensory system. You can google more about the Wilbarger brushing technique. Here’s one link, but it’s not recommended to do without an OT’s instruction. One study found that listening to pink noise increases deep sleep, enhances brain waves, and improves memory in subjects.” read more You can buy a “pink noise” machine, here’s what pink noise sounds like. If your child has pet fish, you can keep them in their room with a filter and light in the tank. 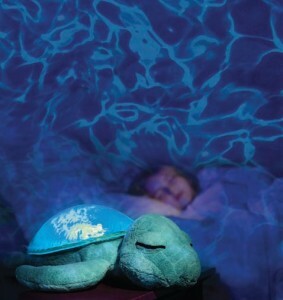 The sound of the filter provides that white noise and using the fish tank light as a night light. Another solution that you can download to your iPhone, Android -Free versions or 5 dollarsfor more options. The research and technology used in Sleep Genius is being celebrated in the 2015 edition of NASA’s prestigious annual publication, Spinoff. Each year, Spinoff recognizes dozens of NASA technologies improving everything from medical devices and software to food and home products. Designed to showcase “the diverse benefits our nation enjoys from its investment in aeronautics and space missions,” the publication chose the “Sleep Genius” program as one of its featured technologies. Read more from the Sleep Genius website. Even the color light coming from the nightlight can make a difference. Try to avoid bright blue, or dim green lights as both can have an affect on the body’s natural internal clock. Studies have found bright blue light from electronics, or dim green light can keep you awake, study shows; can help in Sleep Disorder Therapy. If you or your child does use a computer or smartphone late in the day, you may want to download a free app called F.lux From the website “Ever notice how people texting at night have that eerie blue glow? Or wake up ready to write down the Next Great Idea, and get blinded by your computer screen? During the day, computer screens look good—they’re designed to look like the sun. But, at 9PM, 10PM, or 3AM, you probably shouldn’t be looking at the sun. f.lux fixes this: it makes the color of your computer’s display adapt to the time of day, warm at night and like sunlight during the day. 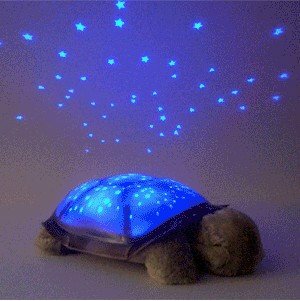 There are a number of kid’s projectors out there that turn their room into a beautiful starry night. One of them that appears to have great reviews is CloudB’s turtle – try experimenting with the various light colors to see which one may work best for your child. Dr Sears doesn’t support the CSI method either. especially special needs children. Some cry so long and hard they vomit. 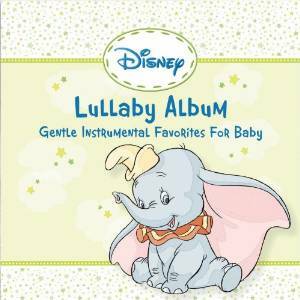 You can also try playing the same short sweet kids movies or stories each night such as Mouse and Mole The following video is an example of an audio book but there are movies too. Even if you choose a movie, once your child has watched it a few times though, they don’t have to open their eyes and can go asleep to the story. In addition to sensory issues, it’s good to rule out any medical reasons for sleep including sleep apnea. So you could look into a sleep study. You can also look into a pediatric gastroenterologist exam to rule out if there are any tummy issues keeping your child awake. Even though this is the last resort, too often it’s what is first prescribed to children having sleep issues, even children as young as two years old. “Children with sleep problems are likely to be prescribed a sleeping pill or other medication approved only for adults, according to a new study. When researchers from The Ohio State University and the University of Missouri evaluated 18.6 million children’s doctor visits for sleep problems, they found that 81% of visits included a prescription for a medication. The study appears in the Aug. 1 issue of the journal Sleep.